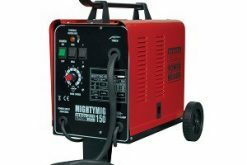  One of our professional MIGHTYMIG range this large gas/no-gas welder offers excellent performance at an extremely competitive price. 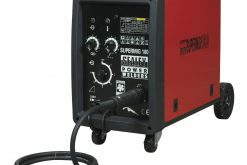  This unit is set up ready to go in gas mode but can also be switched easily to use gasless by a simple change of polarity.  Supplied with high quality cool running BINZEL® MB15 Euro torch, 2mtr earth cable, 1.4mtr gas hose, twin gauged gas regulator, 1kg spool of 0.6mm wire, 0.6 & 0.8mm contact tips.  Illustrated with gas bottle to give an indication of size only; gas is not included.  A contract for the supply of gas should be arranged with your local gas distributor.